This came in the mail on Monday. A box of every color, every medium of Claudine Hellmuth products. And brushes, and distress stains, and sticky back canvas, and...... ! I have been immersed in this goodness for 3 days now creating backgrounds for a presentation I will be doing at an event in Long Beach in September. Back in April, I was in a store in Sacramento shopping and happened to be in the right place at the right time. While I was shopping this wonderful little stamp store, my friend Sylvia was chatting it up with a rep that was there. Well, this rep happened to own the rep company that services California, Oregon, Washington and Nevada for 34 scrabooking companies. She asked about my work and when I showed her some pieces that were in my car, she asked if I would demo what I do using Ranger products at an event she's doing for all her stores. Of course I said yes and Ranger contacted me and sent me all this product! I've been busy, busy, busy for 3 days now creating. It's so much fun trying new products and of course my mind is going in so many different directions. I've never been much of a grunge person, love it, but I'm into pretty! So I'm working on a sort of Tim Holtz meet Ralph Lauren type look. Industrial vintage meet pretty! I can't wait to finish and will post pictures after the event! 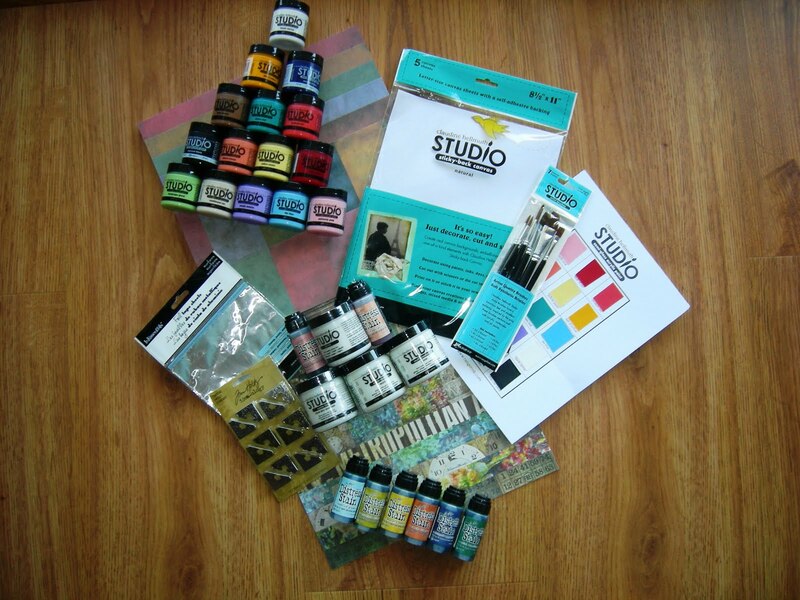 I cannot wait to see what you create with those goodies! Me too! I can't wait to see your designs! How exciting! I'll be watching for you creations! wow how cool cant wait to see the the final products....i love art supplies nothing beats the excitement of new ones!! 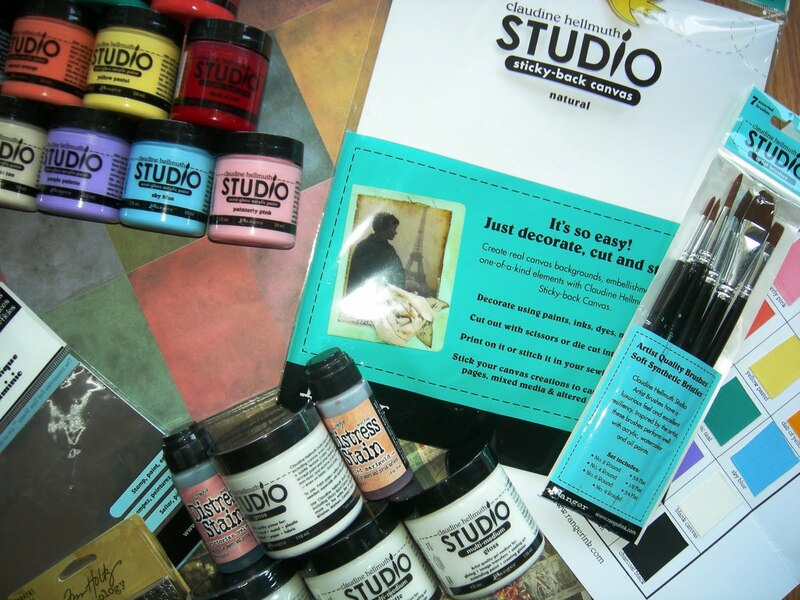 Can't wait to see what you create with all these goodies! Dearest sweet Julie, it's my first time visitng you here on your space and im really inspired! I am a fan of lovely sweet Claudine Hellmuth and i can't wait to see what you create with all these goodies! Congratz on the wonderful opportunity! Have alovely merry happy mid-week and love to you!